It is however heartening to see that the Degaldoruva painter did not confine himself to illustration of women in purely domestic roles. 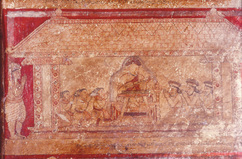 This scene from the Sattubhatta Jataka (one of the former birth stories of the Buddha) shows and equal number of men and women listening to a learned man reading from an ola book. All rights reserved by International Center for Ethnic Studies, Sri Lanka. 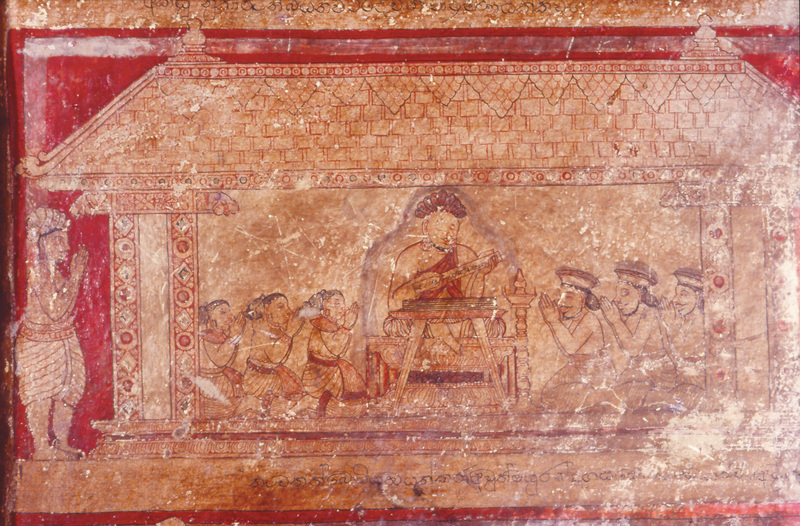 Sirima Kiribamune, "Men and women learning at the feet of a Guru (teacher)," online in Digital Library for International Research Archive, Item #12662, http://www.dlir.org/archive/items/show/12662 (accessed April 26, 2019).